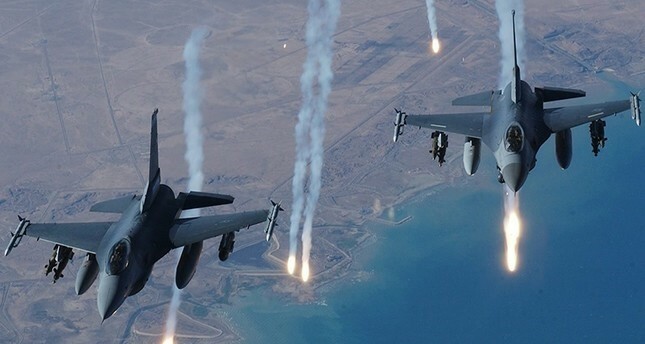 Turkish military jets targeted PKK camps and terrorists planning to carry out attacks in northern Iraq, the defense ministry said in a statement on Saturday. "PKK terrorists planning to carry out attacks against Turkish border units have been hit in simultaneous operations carried out in Hakurk, Avaşin-Basyan regions under the scope of the 'Claw' Operation Plan targeting the terrorist group's headquarters, shelters and hideouts on March 30," the ministry said. Founded in 1978, the PKK has waged a decadeslong bloody campaign against Turkey. The PKK, which is listed as a terrorist organization by Turkey, the U.S., and the EU, resumed its armed campaign in July 2015 after a brief reconciliation period. Since that time, the PKK has been responsible for the deaths of some 1,200 security personnel and civilians, including women and children, while more than 4,000 security personnel and over 2,000 civilians have been injured.